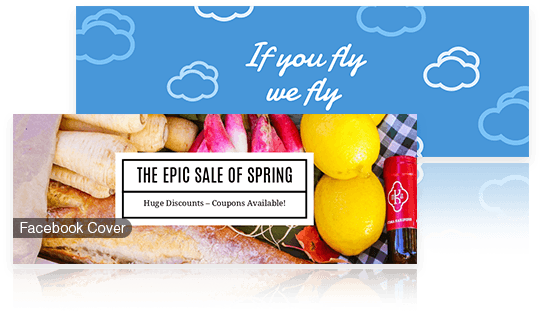 Designed with over 19 preset sizes of templates, ranging from social media covers, posts, cards, banner ads, posters and more - you can create a perfect graphic design online with Fotor! Ranging from different themes and occasions, your social media posts can become truly outstanding with Fotor’s graphic designer! 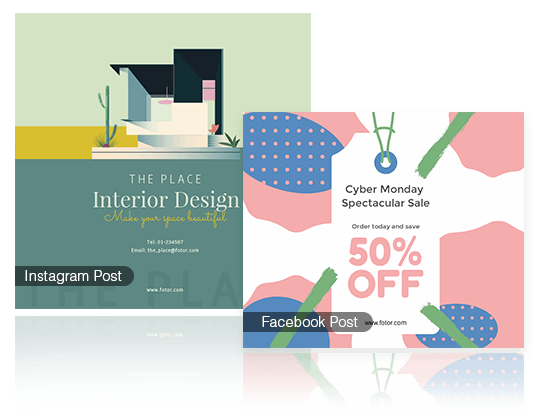 Design the perfect headers and covers online for your social media, blogs and emails for maximum self-expression! 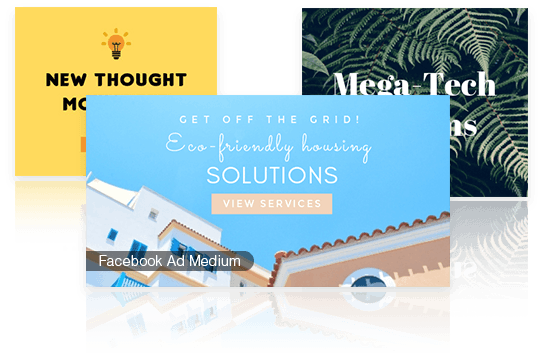 Covering the most popular IAB standard ad unit, you can easily design banner ads by yourself to boost business and profit! 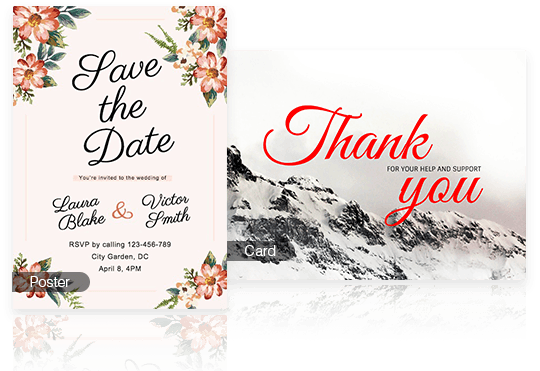 Designed for massive occasions, such as birthdays, weddings, festivals and many more, you can find everything at Fotor’s photo design! From your Etsy shop cover to icon, it’s the perfect way to express your style with Fotor’s visual help! 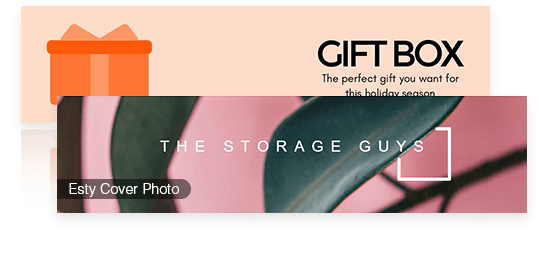 Open Fotor Design feature and choose the template size you wish to use. Choose from a preset template and drag and drop your photos - or design your own from scratch. Modify and design, managing your overlays to maximize your cover's visual impact. Preview and save your cover, choosing the format and size you wish. Our world renowned editing platform provides you with the easiest, most attractive and most powerful designing experience. Our designing suite contains a multitude of preset templates and images, but also gives you the ability to create and add your own!